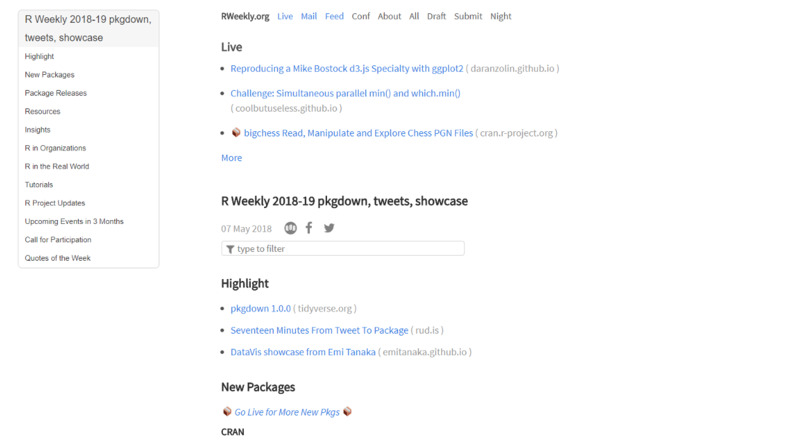 R Weekly covers new articles, packages, projects and more all built with R.
Data Prism is a weekly publication of curated news about startups and companies in the fields of data science, machine learning, AI and analytics. A weekly data science newsletter featuring data science news delivered with humor & snark. Weekly updates on what we're working on in the Johns Hopkins Data Science Lab, plus content we love from all over the internet.